Hi gammers Blazinginfo brings you these wonderful excitement (FTS 17) Apk and data file for your gaming pleasure. 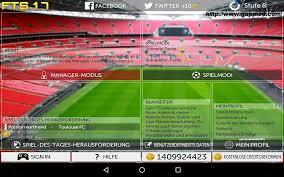 This game is a HD game with lots of awesome features by First Touch games. Here I will guide you on how to download and install FTS 17 apk and data files as you read on. 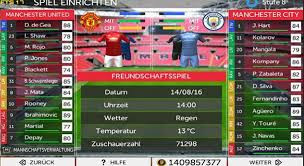 First touch soccer is an offline game with low memory capacity so don't worry about extra data before playing game, all you need is just to download and install the FTS 2017 unlimited money then you can enjoy your game. => An Android phone with minimum of 1gb Ram is required. How to download and install first touch soccer apk and data unlimited money on your android phone. similar to other android apk games the same downloading and installation procedure applies to First touch soccer. Follow this procedures judiciously to download FTS 2017 on your android phone. Download FTS 17 Apk and DATA file here! At this point you can Install First touch soccer 17 and run on your android device. After installation of FTS 17, the language may not be English. Now follow the steps below to change the language to English. This provides avenue to test your skills every day with Match Challenge. You get the opportunity to play with top teams in the game. 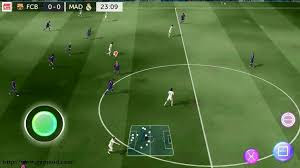 FTS 17 has one of the best graphics you can think of with special animations, good player and stadium graphics that keeps you calling for more. FTS 17 offers you the chance to manage your team, train players, and lots more. in this manager mode you sign players and sell players from your dream team. FTS 17 doesn't have multiple players feature at the moment, unlike PES and FIFA the players doesn't really resemble actual players in real life.